Kool & The Gang in Montreal or Quebec City? Inform me about the next events for Kool & The Gang. Enroll yourself to our priority waiting list for Kool & The Gang to be alerted when new tickets are available. Filling this form doesn't engage you to any purchase. Kool & The Gang will be in the Salle Wilfrid-Pelletier for the International Jazz Festival in Montreal, July 4, 2016. 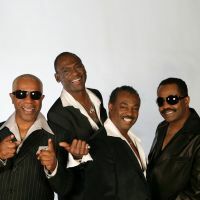 Fans can count on Kool & The Gang to deliver a funky and unforgettable night! Their last concert in Montreal dates back to July 2009. Do not miss your chance to see Kool & The Gang at work in Montreal!